Robin Behn is the author of five volumes of poetry including, most recently, The Yellow House, Naked Writing, and Horizon Note. 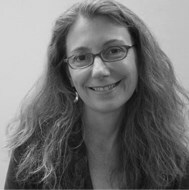 She teaches in the MFA Program in Creative Writing at The University of Alabama and for Vermont College of Fine Arts. Her work in this issue is from a series of pieces inspired by traditional fiddle tunes—in this case, a tune also called "The Star Above the Garter." Sample Robin's band Waxwing at her website. She is waiting for him outside the dance hall. In deepest snow. She has changed into her boots, the brown ones, the brown leather ones the color of a brown thrasher and a chestnut horse. Stamping there. Breathing in little swords and whips, the air snapping in half from the cold. Her big mittens on, the beefy fur-lined ones. And her dance shoes over her shoulder tied together by their long laces in a clumsy epaulet. She is waiting for orders, for something to happen, the way the dance caller made everyone swing and star, gypsy and progress, forward and back like bright gears in a mazy kaleidoscope that would be a perfect model of time itself were it not for the fact that the tune began and ended. It just ended. She's sweating beneath her wool coat, waiting for him outside the grange. It was his hand, the calm, dry, pulsing, uncomplicated balance of his hand, and then the essential distance up to his face, the simple beard and attentive lop of dark hair and the quick, almost canine, grin. How is it that on this particular evening everyone has been called up out of their sideline chairs, the dead crossing over to take hands-four with the living, to come, when you least expect them, down the line? Why did you come here tonight when you could have been doing the dishes, furiously polishing old harms? Why this tribal dance, this stylized joining of he and she, when you actually hunger for the private dance in living room, porch, kitchen, bed, before anyone has ever chosen to unsubscribe from earth, to purposefully drown? She is standing in the snow. It feels deep enough to drown her. Waiting for him to leave by himself which is how, she thinks, the dead are likely to travel when they come back to poke the ashes of the earthly dance. Her body, sweat right through, taking on the chill. Star, it's your music, but it is not your fault. Someone, ask her back in for the last waltz.